Well, hello! I’m Jordan, from FunCheapOrFree.com. I’m a wife, mom, and advocate of kitchen dance parties. FCF is a lifestyle, parenting, and frugal living blog that is probably more fun than it should be. 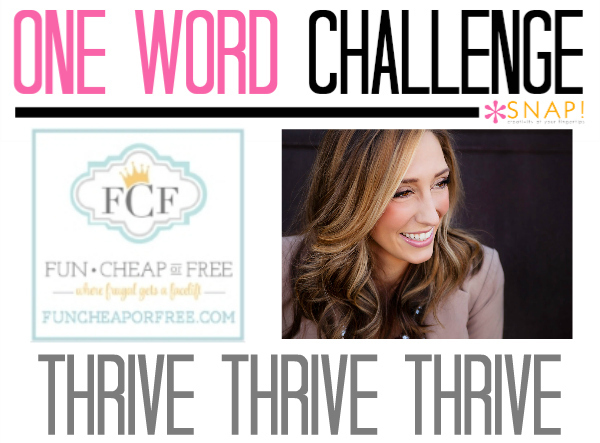 I am so excited to be part of this one word challenge. I’m a huge believer in having a defined vision for your life. If you don’t have a vision for where you are going (and why), how do you know if you are on the right track?? To help me get and stay on the right track, I picked the word FOCUS last year. I set a theme for each month and focused on improving various aspects of my life, one month at a time: fitness, finances, relationships and family, fun, organization, learning, gratitude, etc. My year-long “Focused in ’14” campaign was an eye-opening experience! It showed me that with a little bit of FOCUS, simple changes in your life can make a huge impact! My family has had many changes and adventures in the last year ((as I’m sure we all have! ), explained better in our Christmas letter). With each new challenge or change, people would encourage us to go on “survival mode”; to relax and focus on just getting by, to do whatever it took to simply survive. While that might sound appealing, one thing I learned the hard way is…survival mode doesn’t work! It isn’t sustainable. It doesn’t help you get ahead. And it certainly doesn’t make your life easier long-term. It wasn’t until we focused on THRIVING that our lives became manageable; that we found joy in what we were doing, the path because easier to tread, and things started clicking. THRIVE has become my new mantra. I have decided that I want my live to be one of thriving; success, happiness, and growth…not just one focused on simply getting by. I love the picture above of the sprout. It was planted amidst a thick, mossy ground cover – which is beautiful and doing just fine! But this one little sprout decided to do more. It worked hard and has reached for the sun; pushed itself to grow higher. It now thrives and stands taller than the rest. I can’t wait to THRIVE this year. Though I’m sure it won’t be easy, I have no doubt it will bring countless blessings and opportunities my way. 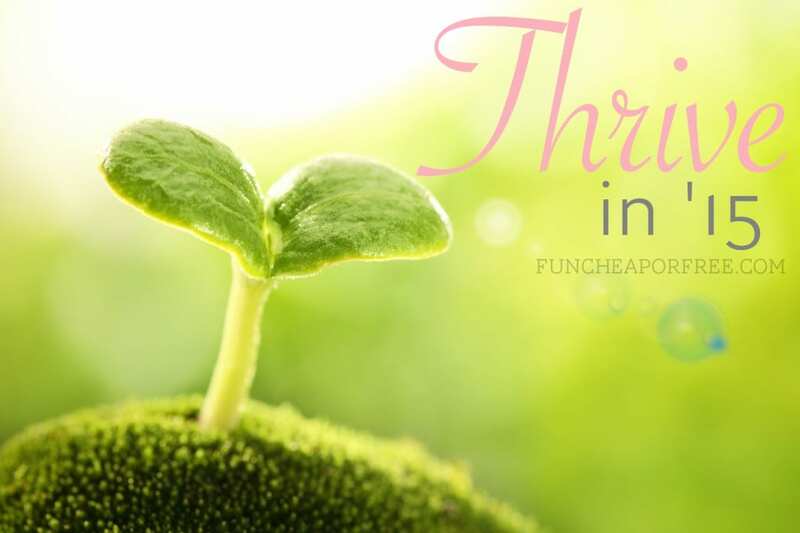 Here’s to THRIVING in ’15! When you focus on thriving, amazing things can happen! 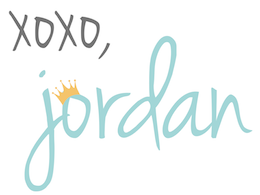 Have you visited Jordan’s site yet? She has some truly great (and affordable) tips and tricks on her blog. Stop by and check it out!